First up we have unsalted butter. Unsalted butter is just that, butter without any added salt. Using unsalted butter gives you as the chef or baker the freedom to experiment with your desired flavors. 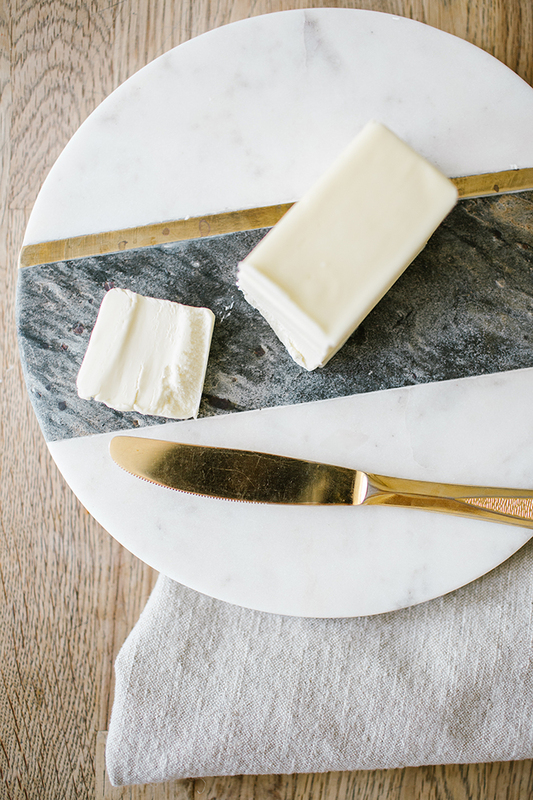 If you want to keep your dish super smooth and creamy, unsalted butter may be the best option (like with sugar cookies or a pound cake). Yet recipes that call for unsalted butter typically require an added dash of salt, so keep that in mind the next time you roll your sleeves up in the kitchen. The alternative to unsalted butter is salted butter of course. Salted butter is great for cooking across the board and is considered all-purpose. This kind of butter is actually ideal for both savory and sweet recipes, which may not seem obvious. But if you’re a serious baker, keep in mind that different brands of unsalted butter may contain varying amounts of salt—so stick with a salted butter brand you know and love. Ultimately when it comes down to it, both salted and unsalted butter can be used interchangeably. However, it is important to note that if a recipe calls for one over the other, there’s usually a good reason behind it. Do you have any tried and true baking tips?